Take a magical journey through a little girl’s Christmas Eve dreamland to defeat the Mouse King, save the Nutcracker Prince, and dance with Sugar Plum Fairies. BalletMet will be performing The Nutcracker at the historic Ohio Theatre from December 7-23, 2018, and it’s a timeless holiday tradition you don’t want to miss. While we think it’s “worth it” for a special holiday event, we understand that tickets aren’t affordable to everyone. One lucky reader win 4 tickets to BalletMet The Nutcracker for opening weekend Friday, December 7 – Sunday, December 9. WINNER HAS BEEN CONTACTED – thanks for entering! Winner must be a subscriber to our daily newsletter, which features what’s going on in Columbus. Click here to subscribe if you aren’t already a subscriber. Leave a comment below (or on the Facebook post) telling me about your favorite holiday tradition or experience. Enter to win tickets via Rafflecopter widget. Performances are held Dec. 8 to 24, 2017 at the Ohio Theatre. Arrive early or stay after and explore the holiday lights of downtown Columbus or dine at a local restaurant or bar. Ticket prices range from $29 to $93 and can be purchased at the CAPA Ticket Center (39 E. State St.) and online at ticketmaster.com. To purchase tickets by phone, please call (614) 469-0939 or (800) 745-3000. Disclosure: Columbus on the Cheap was provided with 4 tickets to The Nutcracker in exchange for writing about the performance. Lights at the Zoo, and the lights in Delaware, OH. Our family loves the Nutcracker! My mom is 80 and I would love to get lower great seats since she can’t climb all the stairs anymore for all the ladies in our family but $$$. I started buying them for us but can no longer afford to keep buying for everyone. Such a wonderful tradition for all the generations in our family! The Nutcracker, Wild Lights at the zoo, and baking cookies with my kids. My family enjoys the Easton parade and tree lightening event, it’s a great way to kick of the season! I love watching my son and the marching band march in the holiday parade here in Gahanna. Oh and taking a ride to see Christmas lights and then getting hot coco. Our family loves Wild lights but also enjoy driving around neighborhoods to see others lights. Franklin Park Conservatory and the ponsettia tree! Our favorite holiday tradition is buying new pajamas for the whole family that we open and wear on Christmas eve! I love spending time with my family putting up the tree, making decorations, baking and eating special treats, retelling the events of Jesus’ birth… My granddaughter loves to pretend to be a ballerina and I would love to take her to the Ballet Met. She would love it! A tradition for us is getting together and going to see Christmas lights. We mostly do the Zoo lights. I’m not into traditions. I do whatever strikes the mood or whatever events are happening. Taking my girls to get their pictures taken with Santa! Our favorite tradition is riding around the neighborhoods looking at lights after Christmas Eve mass! Going to pick out a Christmas tree and spending time with my family! Our favorite holiday tradition is going to the conservatory aglow! My favorite Christmas traditions are decorating the tree, baking cookies and cooking tons, drinking hot chocolate and watching Christmas movies and specials! We love visiting the wildlights at the Columbus Zoo. Last year was our (myself, my husband, and our 5-year old daughter) first time seeing The Nutcracker. It was absolutely beautiful, and we’d love to make it a tradition! Going to see the lights at the zoo is our favorite tradition! We love going to the Wildlights and thinking up new ideas for our daughter’s elf on the shelf. Road trip home to visit family. When I spend Christmas at my parent’s house, the choir director at the church where I grew up always invites me to sing with the choir on Christmas Eve. It’s lovely to sing with my mom and so many of the people I remember from being a kid. Making a special ornament for the family and spending time with my family. I like to go to Wild lights with the family. Visiting family if we travel, or staying home and watching old Christmas movies :). Getting out the boxes of ornaments – most of them are from various trips, so it’s fun to reminisce about vacations! Wildlights and Santa at Easton! We always have homemade spaghetti on Christmas Eve and then open new pajamas to wear overnight. It builds such great excitement on into sneaking down the stairs the next morning to take a peek in the stockings before everyone else wakes up! Christmas Eve Mass, followed by pizza with the cousins, watch polar Express & roast chestnuts! 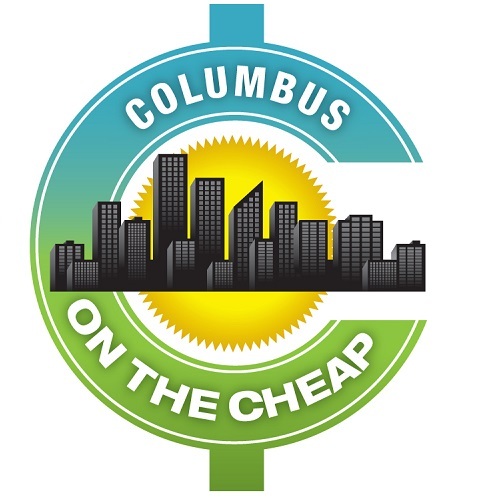 This is my second holiday season in Columbus since moving back to Ohio about 1.5 years ago, and we are looking forward to creating traditions this year – with the help of ColumbusontheCheap.com! We love heading to the WildLights at the zoo. My favorite holiday tradition is attending Christmas Eve service and the huge Italian feast we have Christmas Day! I’m excited to check it out this year! We love the Chinese lights festival! We do this too! Our son loves picking stuff out for another child his age. Have you ever received a response from one of the recipients? We haven’t yet, but I think it would be so neat! We love reading the night before Christmas on Christmas Eve before bed. If there’s snow, we love to go sled riding at Christmas time! Our favorite holiday tradition is cutting down our tree(turn rotates yearly) going out for Chinese and watching A Christmas story! My favorite holiday tradition is to check out all the area light displays. We have such a great time driving around singing and drinking hot cocoa. I love spending time with family during the holidays. I would love to take my daughter to the Nutcracker for the first time!